Takeaway: If you've been thinking about growing your own and are wondering what type of lights you're going to need, look no further than Maximum Yield's Ultimate Guide to Grow Lights. It can be difficult to navigate the seemingly complicated world of grow lights, especially for a new grower. There are numerous types of lights, each with a different purpose and each with their respective pros and cons. In order to make an informed decision on what types of lights are best for your growing conditions, an evaluation that includes your operating budget, the quality of the lighting system, how long it is intended to be used for, at what stage of plant development it is required, is in order. Let's take a look at the different types of grow lights available to indoor growers today, starting with some info on how plants use light. In general, grow lights are any artificial source of light intended to either supplement natural light or replace it when it’s not available in order to grow plants of any kind. The light bulbs used in most household lamps and light fixtures are not designed to deliver the type and amount of light required for healthy plant growth. They do a fine job helping us to see, but we don’t require the same wavelengths of light that a plant needs. Most indoor lighting that has not been manufactured specifically as a grow light is the old-fashioned incandescent light or fluorescent. Incandescent bulbs are not particularly useful for plants as they provide light on the red side of the spectrum, but not towards the blue side. They also tend to run too hot for plants, which can be detrimental to their growth. They are also highly inefficient; about one-third as much as fluorescents. Typical, household fluorescent lamps run much cooler and supply a much wider range of the light spectrum. Even though they do produce light primarily from the orange to blue range, unless they are designed specifically as grow lights, they do not offer plants quite enough quantity of light to do much good. There are indeed fluorescent grow lights. These have higher amount of light and include light from the red end of the spectrum, but these are not the same as the bulbs used in regular fixtures. In order to understand what a particular bulb offers, it is necessary to get a grasp of how light is measured. Though not commonly used as much anymore, foot candles is one way light output is assessed. This represents the amount of light that one traditional candle would give off from one foot away. A typical grow light offers hundreds of foot candles of light. Lighting may also be referred to by its color temperature. This is a measure of its appearance, not its actual heat output. “Cool” lights offer light in the blue and yellow-green portions of the spectrum. “Warm” lights provide light on the red end of the spectrum. Lights may also be measured in watts, nanometers, lumens, or PAR (photosynthetically active radiation). Watts (W) are a unit of energy measure that most people relate to with lighting. Grow lights are often rated as to a bulb’s watts per square centimeter of illuminated surface or watts per bandwidth, which is the amount of light emitted for any particular color of light. Simply put, one W is equal to the flow of electrical current of one amp, at a one voltage (volt or V). If a light output is measured in nanometers (nm), this number represents the amount of visible light. Visible light is emitted between 400 and 700 nm. Grow lights come in a range between 450 and 730 nm. 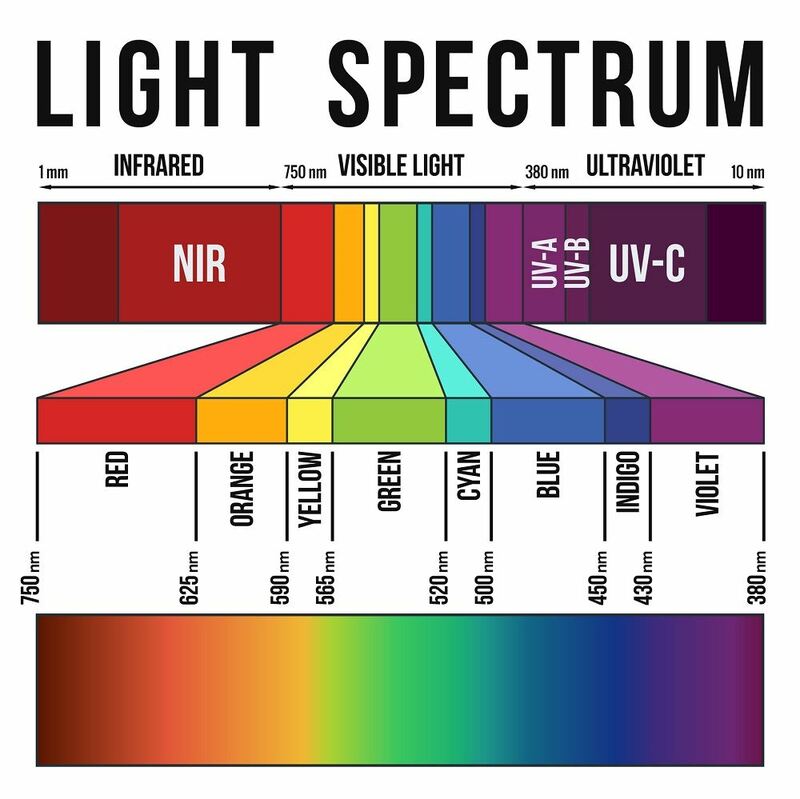 The violet end of the spectrum exists at about 400 nm and the far red end is at 730 nm. Important measures in nm are 450, 650, and 730. For plants to undergo photosynthesis, light at both 450 nm and 650 nm is required. This is where a plant creates its food from available light and water and carbon dioxide from the pigment, chlorophyll. The 650 and 730 nm wavelengths are vital to a plant’s ability to control flowering through the plant pigment, phytochrome (Pr). A grow light’s bulb(s) may be express in lumens (lm), also known as “lux”, which is a measure of how bright the bulb actually is. For you science types, a lumen is a measure of the amount of “luminous flux” which is simply the amount of visible light that is emitted by a bulb. Since plants require light beyond the visible spectrum, lumens are not always considered to be the best measurement of a bulbs’ effectiveness. PAR measurements also fall into this category. PAR measurements refer to the number of photons that a light produces; again, this is only useful to measure visible light and may not tell the whole story when it comes to what a plant needs to grow. Rather than getting bogged down in all of the terms though, let’s take a look at some of the advantages and disadvantages of many common types of grow lights and consider at what stage in a plant’s growth they may be most suitable. Fluorescent tubes are measured by their diameter. Each “T” represents one-eighth of an inch. A T5 tube is five-eighths of an inch in diameter, a T8 would be one inch in diameter, and so on. T5s are best used during the propagation stage of plants, since they run cool. Generally less expensive than other types of grow lights. They emit light that covers a larger area than most other types of grow lights. They typically have a much longer, useful life that other kinds of grow lights. Are not useful during the vegetative stages of growth. Are not useful during the flowering stages. High intensity discharge lights, or HIDs, are large-bulbed systems that create light by igniting a gas inside the bulb. HIDs are available in two types: Metal halides (MH) and high pressure sodium (HPS). There is a third type, which is a hybrid between the two, as well. All types of HIDs work by arcing an electric current between two tungsten (W) electrodes which then ignites the gas in each particular bulb. Metal halide lamps burn gas that produces lighting on the blue end of the spectrum which is beneficial during the vegetative phase of a plant’s development. High pressure sodium lamps produce light on the red to orange portion of the spectrum and are useful during the flowering stage of a plant’s cycle. All HID systems include the bulb, a ballast, and a reflective hood of some sort to increase the amount of light available to the plants. An HID ballast can be traditional, magnetic ballast that uses coils and condensers to regulate the output, or digital ballasts are also available that use circuitry to regulate the lamp’s outputs. HID bulbs are often dimmable, which can be useful to customize the amount of needed light for a given area. If using a digital ballast, all types of HID bulbs can be used without changing the ballast. HID lights produce more usable light than fluorescent bulbs. HID bulbs produce high amounts of heat that can burn plants if not monitored or taken into consideration when placing them into a grow room. They require additional hardware to operate, such as a ballast and a reflector. Some HID ballast will only operate MH and some will only operate HPS, meaning multiple ballasts may be required. The effectiveness of each bulb diminishes over time, meaning that it is important to note how long a particular bulb has been in use and change it before it ceases its usefulness. Read More: Is It Time to Upgrade Your Magnetic Ballasts to Digital Ballasts? Double-ended (DE) lighting is a type of HID grow light that has come onto the market fairly recently. It is a type of HPS that instead of screwing into a single “port” in a ballast, is a tube and connects at two ends of a ballast, much like a fluorescent tube. 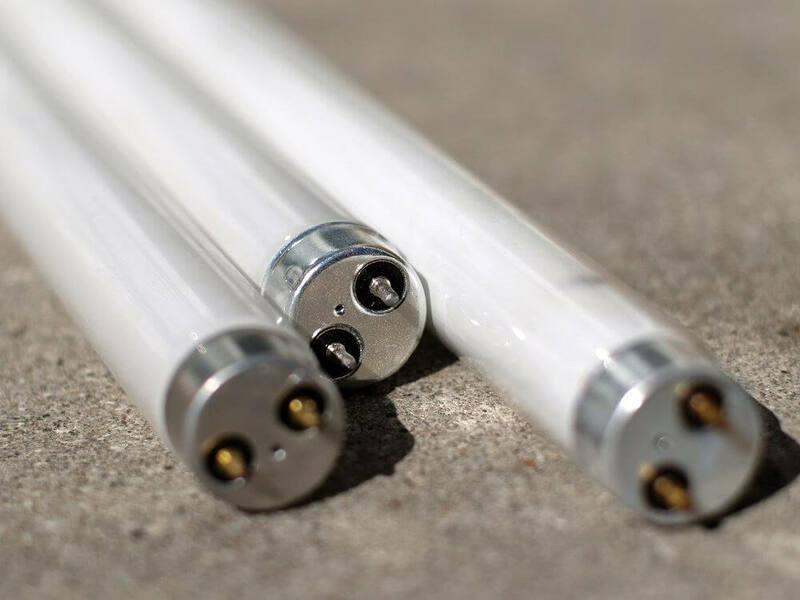 The pros and cons relative to the double-ending lighting option are as compared to the traditional single-ended (SE) HPS lamp, unless otherwise indicated. Double-ended lighting lasts longer than single-ended. It also remains more efficiency longer. A 10,000-hour SE bulb may have lost a significant amount of its usefulness upon reaching that milestone, but a DE one may still be as much as 90% efficient after attaining the same age. DE lighting tubes are thinner than SE bulbs. The advantage to this is that more light is able to reach the plants than with single-ended bulbs placed at the same height. Double-ended lighting produces more heat than single-ended lighting, which can lead to foliage burn. Double-ended lighting cannot take air blowing directly onto it such as from circulation fans or HAF fans. Contact with air effects the nitrogen inside the bulb and lowers the bulb’s efficiency. Light emitting ceramics (LEC) and ceramic metal halide (CMH) lights both also refer to types of single-ended HID lights. They (LEC and CMH) are also essentially used interchangeably with one another as they are the same type of bulb. An LEC (or CMH if you prefer) light operates in much the same way as its metal halide cousin, but instead has a ceramic arc (like HPS bulbs) instead of a quartz one. Just as in the section above on DE lighting, the pros and cons listed below are as compared to other HID lights. LECs last on average twice as long as MH or HPS bulbs. LECs, because of the ceramic element, burn much hotter than MH, producing a light closer to that of natural sunlight. Due to their insulating value though, they also have a lower heat output, which means there is less likelihood of burning plant leaves as compared to MH or HPS bulbs. LECs can produce light spectrum sufficient to support both the vegetative stage of plant growth as well as its flowering stage. Only magnetic ballasts can be used for LEC bulbs and they cannot be placed on an angle; only straight up and down or horizontal. Cost. Being a newer technology, these are still fairly pricey. There is a danger to growers due to the amount of UV light produced by LECs. Growers are advised to wear long-sleeved shirts and sunglasses if they are going to be working under any LEC lighting. Light emitting diode (LED) grow lights are also relatively new in the world of artificial lighting, but are being widely used. The benefits to using LEDs are numerous, but the major obstacle to switching over to them is the high initial cost. As LEDs continue to become a major player in the world of grow lights, it is likely that their costs may continue to drop into a range that is more affordable to most home growers. LEDs are energy efficient and are among the cheapest sources of artificial light to operate. They produce more light per watt than either fluorescents or HIDs. However, there are exceptions to this. LEDs run at cooler temperatures. Besides the energy savings, this means that the chance of burning your plants if considerably less than with some other types of grow lights. They are also among the longest-lasting of artificial lighting options. They are usually able to be directly plugged into to standard electrical outlets; some types can also be used in traditional light fixtures as well (no ballasts required for LEDs). The range of color spectra available is wide and can be customizable and adjustable depending on crop being grown and what stage of development. There are many manufacturers producing LED lighting with a wide range of features and benefits. LEDs are generally considered to be the easiest grow lights to use. Cost can be prohibitory when it comes to opting for LEDS. They are many times more expensive than other grow light options. Some LEDs, in an effort to reduce consumer cost, emit less light than other types of grow lights. You can avoid this if the LED light selected is at least 2.0 micromoles per watt of energy. Depending on manufacturer, LEDs are not always strong enough for the flowering phase. 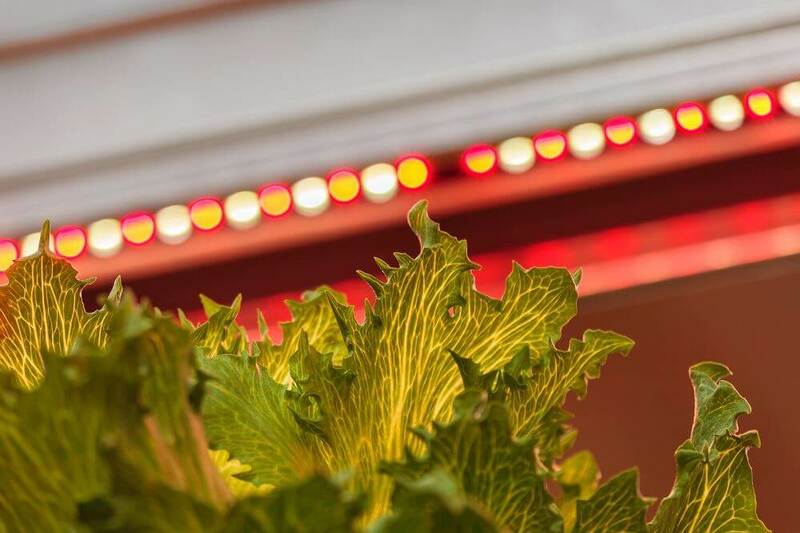 This drawback may become obsolete as technology improves, and even now some LED systems do produce enough light, but be sure to do your homework when selecting the right LED for your particular crop. Reflectors may be needed to realize the full benefit of your LED lights. This may not be a true “con”, but unlike with HIDs, where it is expected, most LED systems are sold with the contention that no other items are required. Sulphur plasma lights are a type of light emitting plasma (LEP). These bulbs work by burning gas at extremely high temperatures in effect mimicking the sun. This technology is still relatively new and testing is underway. LEPs produce a spectrum of light similar to the sun and may have the potential to be the type of artificial light that most closely resembles natural light. These are potentially the best option for grow rooms with high ceilings or for situations where a grow light cannot be placed close to the crop, where another type of grow light may be more effective. LEP bulbs are extremely long-lived. Manufacturers claim useful lives of three to four times that of other traditional grow light types. Because plasma lights burn so hot, they cannot be placed near crops. If a grow room is in a confined space or tent, these are not the lights to consider using at least as the technology currently exists. These are very expensive and unless you are a professional grower, they are probably cost-prohibitive as of the publication of this information. Some fixtures are large and bulky and require substantial support systems to mount them. Induction grow lights are essentially a high-wattage compact fluorescent (CFL). They work by igniting a gas from energy produced magnetically; there are no igniters in an induction lighting system. All of this process occurs in a sealed tube. They are the longest-lived bulbs of any grow lights discussed here because their energy creates more light than heat. Some induction lights are claimed to still be useful up to 100,000 hours. Induction lighting is about twice as efficient as other fluorescent lighting. Bulbs can be used for many years of continued use before losing meaningful effectiveness. Unlike some other grow lights, induction lights illuminate instantly; there is no warm-up period as with many other types. Induction lights burn cool, so they can be placed closer to crops and don’t require as much in the way of ventilation. They are not as efficient as LEDs or HPS. Induction lights are noisy. They not only produce sound when operating, but they have the potential to interfere with Wi-Fi and cellular phones. Not all grow lights are created equally. There is no “perfect” grow light. In order to select the most appropriate grow light system, know what you want out of your plants, understand what they need, and attempt to create a system that does as much of both of these as your budget and set-up will allow. Want more? See Maximum Yield's complete Grow Lighting Article Archives.